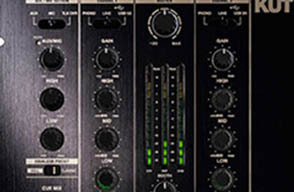 With a purchase of the new Reloop KUT Battle Mixer, customers will receive a free 90-day standard membership to BPM Supreme’s record pool. BPM Supreme and IDJNOW.com present a brand new giveaway for 2018. 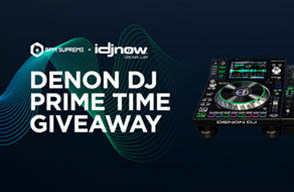 The Denon DJ Prime Time Giveaway will award one lucky grand prize winner with a complete Denon DJ Prime Series set up worth over $5,000. 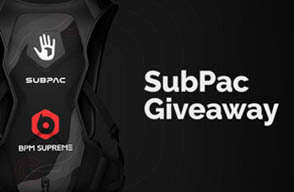 Announced today, BPM Supreme and SubPac have partnered to present the SubPac Giveaway. Participants in the giveaway will be entered win one of three S2 seated bass packs or one of two custom BPM Supreme SubPac M2X wearable packs. BPM Supreme and IDJNOW.com are happy to announce Andrew Harding, a.k.a. DJ Dru Nyce of Boston Massachusetts, as the winner of the Supreme Holiday Giveaway. 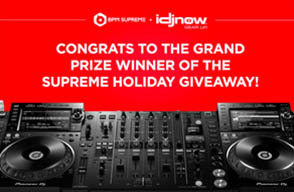 Announced today, BPM Supreme and IDJNOW.com have partnered to present the Supreme Holiday Giveaway. 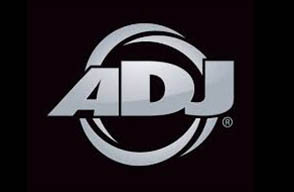 One lucky winner will be chosen at random to receive a professional DJ prize pack worth over $6,000.00 USD.